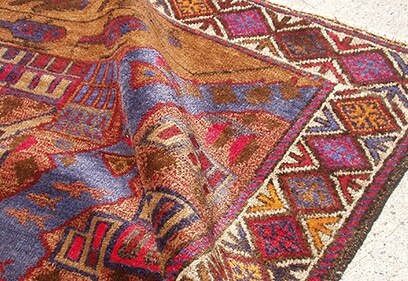 When your prized Oriental rug needs repair or restoration of any kind, you can depend upon Smart Choice Rug Care. We have the dedicated, highly trained technicians, safe cleaning agents, and state-of- the-art equipment to guarantee that your rug will be treated like royalty. Even if you vacuum regularly, there is simply no way that you can adequately remove deeply embedded dirt from your rug – dirt that will not only dull the appearance of the rug but that will also grind away at the fibers and backing. Our repair process will make sure that every bit of rug-damaging dirt and grime will be removed from your rug. Smart Choice Rug Care not only cleans your Oriental rug, but we provide free pickup and delivery after your rug has been cleaned and dried. Regularly scheduled Oriental rug cleaning can help to not only keep your rug looking beautiful, but prolong its life. You can count on Smart Choice Rug Care to remove dirt and stains before they can impact the integrity of your rug. Fairly minor problems such as tears in the binding or small worn spots can become large problems if not addressed promptly. 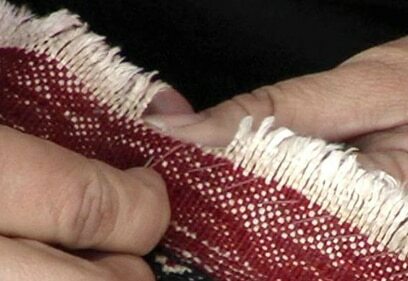 Our artisans are able to perform these repairs at our facility to your complete satisfaction. 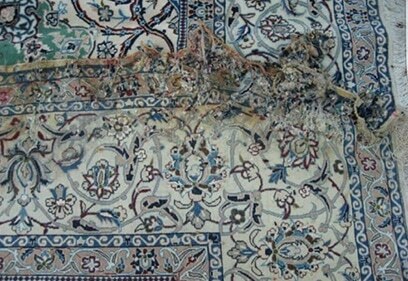 Antique Oriental rugs or rugs where small repairs have been neglected may require extensive restoration. If your rug has a degraded fringe, large worn spots, or even holes, you will need our skilled personnel to reweave and restore the rug. There are a number of factors that we at Smart Choice Rug Care always keep in mind when we are servicing an Oriental rug. Many cultures and artists have developed patterns, color arrangements, and fiber preference over centuries of rug making, and there are significant differences in rugs that originate in different parts of the world. Hand-knotted Persian, Chinese, or Turkish rugs, especially antique rugs, may not only require cleaning, but also repair, reweaving, and color restoration. 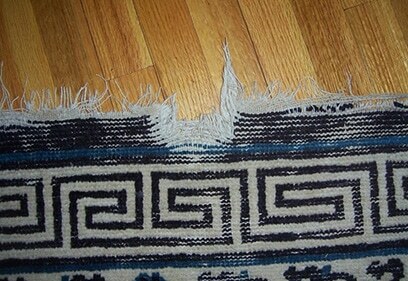 Rug repair will encompass mending rips and tears. Damaged fringes will be re-knotted and edges that have become unraveled will also be repaired using an overcast stitching technique in most cases. Restoration takes repair several steps further and involves actually returning the carpet or rug to as original a condition as possible. 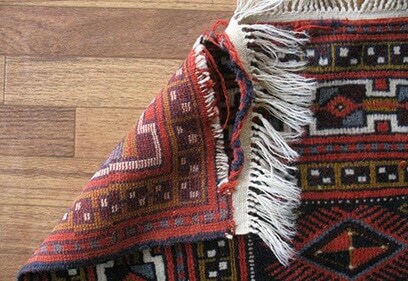 Actual reweaving and re-knotting will be carried out using wool or silk strands to duplicate the pattern and colors.Areas where the rug has been entirely worn away can be restored. 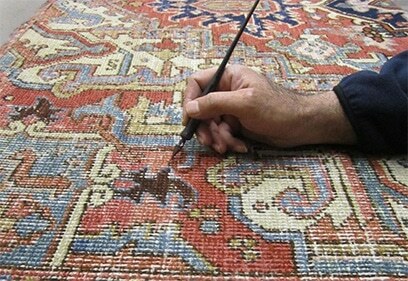 Rug restoration is actually an art, and Smart Choice will provide expert restoration services to your antique or modern rug. You should never take a chance with your Oriental rug, regardless of its age or provenance – call on us to assure that your rug is cleaned safely and that any repairs necessary have been carried out professionally. 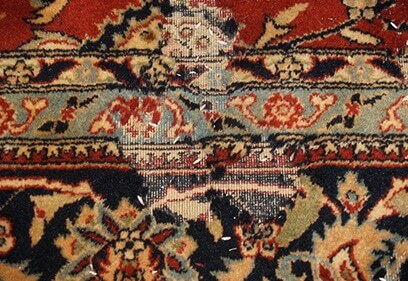 We also offer Oriental rug protection that will seal and condition your rug’s fibers to help prevent future damage. I can highly recommend The Smart Choice Rug Care for restoring the rugs and carpets to anyone and anytime. David was incredible and unbelievable all around: He messaged to update on his ETA and was on schedule. He was unmistakably experienced, truly knowledgeable and talented at his art as far as oriental rugs are concerned. His tender loving care stunned me. He brilliantly knows how the little subtleties have a significant effect, and he is conceivably one of the friendliest people. I will 100% recommend him for any rug repair! I tried other rug cleaning companies previously but decided to give Smart Choice a try, as it promoted rug repair and color restoration. The specialists turned back instantly, watched my rug and gave me a genuinely reasonable price quote. I chose to go with it and happy I did. We were genuinely awed with eliminating old stains and making our rug seem as new as we just put them on. I had a significant thump in my oriental floor covering rugs, and little pieces of the carpet had pulled back off the tacks, so I needed to get them fixed. I didn't know whether I should call the installation company to set and re-establish the rug to its place. Meanwhile, a neighbor advised calling The Smart Choice. I called David, and he was sufficiently pleasant to turn out on short notice as I was having new tenants move in the following day. He worked superbly, and the restored rug looks immaculate! Would definitely call him again for rug restoration. Around a half year, prior, exposures to dampness lead my acquired oriental rug to unattractive stains, twisting, and shrinkage. Blurring, draining and other shading related issues were likewise the immediate consequence of water exposure in my storm cellar. I searched for the best services in town as the rug was very dear to me because it was gifted to me by my mum. After a lot of research regarding the rug repairing companies and going through the reviews, I contacted The Smart Choice and explained everything to them. After a few days, I picked up the rug, and I was absolutely amazed to see that there was not even a slight stain of water damage on the rug. I can highly recommend David to anyone for any rug repair service.